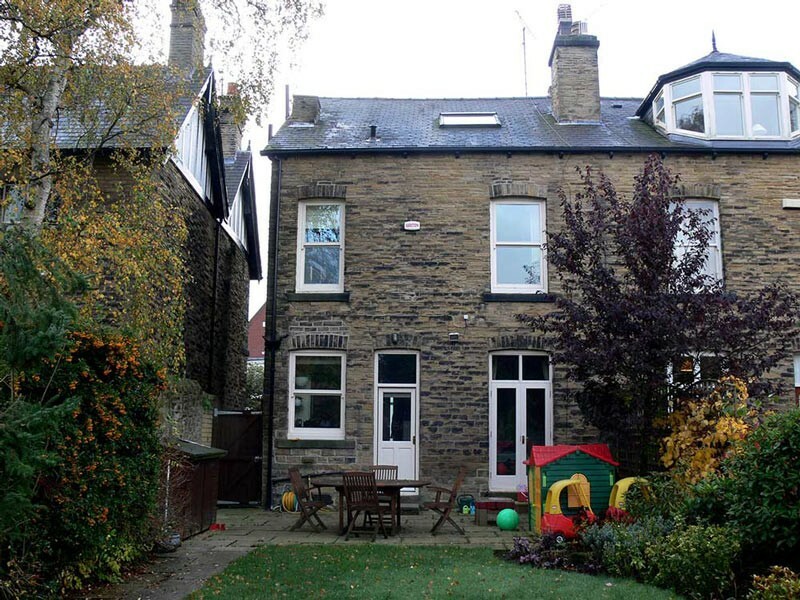 The original brief sought to answer a simple question – should the clients move or could their late Victorian house be adapted to suit the needs of a young family? However, the balance between formal and informal spaces was causing problems. A small kitchen and a dark formal dining room cut the main living space off from the garden. Careful consideration of both form and the palette of materials create an uncompromisingly contemporary living space. The scheme responds sensitively to both the scale and setting of the existing 19th Century house. The design reconfigures the spaces to the rear of the traditional semi detached stone property whilst adding a small scale extension that uses simple geometric shifts to reach out into the garden. The reconfiguration of the space available and the addition of a small nine square meter extension radically transform the house. The long narrow dining room was knocked through to the kitchen and connected to the new extension to form a simple ‘L’ shaped room. This key move allows each part of the brief to occupy a defined space whilst being seamlessly interlinked. The former dining room has been foreshortened, limiting the effects of low light on a deep plan and creating space for the relocated kitchen, utility space and downstairs toilet. The extension itself is defined by a tall sculptural brick chimney and gently cranked geometries. A glass ribbon winds its way up the join between the old and new elements, helping to drop light deep into the plan whilst reducing the visual solidity of the new addition. Externally, the brickwork picks up the hues of the original stonework. The crisp detailing accentuates the shifts in angle of the plan of the building.